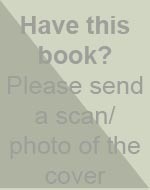 These biographies, histories, and other books contain interviews with Carroll or discussions of him in relation to the primary subject matter. Description: Norris "traces her coming-of-age as a writer," and in the process describes -- briefly -- her experiences with Jim Carroll and other people significant in Carroll's biography, such as Gerard Malanga and Patti Smith. The chapters dealing with Carroll, titled "To Kathy, Love Jim" and "Tuff Turf," offer a unique, casual portrait of Carroll circa 1968-1973. Additionally, this book provides a broader context for the poetry scene in New York at this time, as Norris's circle of poets revolved more around the 92nd Street Y and the Academy of American Poets. Description: Fascinating history of punk told via interviews with the participants; the only flaw is that it lacks an index! Carroll appears often throughout. The paperback edition includes additional interviews. Description: An interesting official biography that really pissed off everyone who was close to Mapplethorpe. Carroll offers lots of great stories--some about Robert, most about Patti Smith. Description: Just what the titles says. Includes various references to Carroll. Description: Carroll is mentioned briefly as one among a clutch of O'Hara groupies who would trail the poet around the neighborhood, hoping to catch a glimpse or some wisdom. Description: References The Basketball Diaries in its disussion of the first generation growing up with the constant fear of nuclear annihilation. Description: Mentions Carroll's attendance at Andrea Feldman's suicide leap. Description: In "Tiny Tortures," in Forced Entries, Carroll mentions a review that appeared in the Village Voice. The review is collected in this book--it's the title essay, in fact. More important, Johnston's book provides a wonderful glimpse into the New York arts scene of the late 1960s.